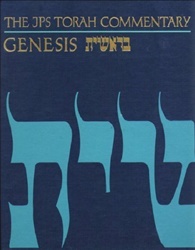 The JPS Torah Commentary series guides readers through the words and ideas of the Torah. Each volume is the work of a scholar who stands at the pinnacle of his field. Every page contains the complete traditional Hebrew text, with cantillation notes, the JPS translation of the Holy Scriptures, aliyot breaks, Masoretic notes, and commentary by a distinguished Hebrew Bible scholar, integrating classical and modern sources. Each volume also contains supplementary essays that elaborate upon key words and themes, a glossary of commentators and sources, extensive bibliographic notes, and maps.